The digestive system is a group of organs in your body which all work together to break down food so it can absorb nutrients to make fuel for your body. The digestive tract forms one long tube in your body. At any one point, it has been estimated that up to 40% of the population has one or more digestive problems at any one time. Most of these problems is due to lifestyle, stress or the type of food that have been eaten. Making small changes to your lifestyle can help and even prevent these symptoms. Nexium Control works by limiting the amount of acid your stomach produces, helping prevent heartburn. It does this without affecting your ability to digest food and drink. It provides 24-hour protection from heartburn and acid reflux. Gaviscon Liquid Relief brings fast, soothing and long-lasting relief from the pain and discomfort of heartburn and acid indigestion. 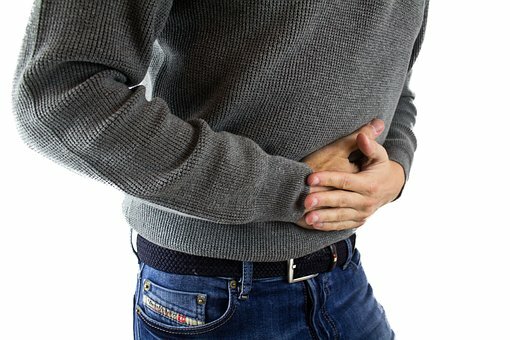 Gaviscon works by forming a protective barrier on top of the stomach contents soon after it has made contact with the stomach acid. The raft acts as a strong physical barrier and helps to keep stomach contents in the stomach where they belong and not in the food pipe where they hurt. Alflorex precision probiotic is an excellent choice. It has been shown in clinical trials to reduce bloating, gas, abdominal pain and unpredictable bowel movements. Alflorex is the only food supplement that contains the unique and patented 35624 probiotic. A PrecisionBiotic that goes to work only where needed. Taking a daily probiotic will help your stomach by replacing bad bacteria from eating modern diet with good bacteria into your gut. A healthy gut flora is vital for good digestion. Solgar’s Digestive Enzymes tablets are a blend of natural enzymes, herbs and plant extracts to help support the body’s natural digestive processes. They help break down proteins, carbohydrates, starches and fats and can help reduce bloating and indigestion after eating. These digestive enzymes also help people who suffer from food intolerances. For more information why not drop into your local Hickey’s Pharmacy and speak to our trained healthcare advisors? If your symptoms are prolonged, severe or you are in any doubt about your digestive health you should have a full consultation with your GP or pharmacist.